We know a vehicle wrap is an investment you take seriously and that you want to get your money’s worth. A lot of times this mentality can take clients down a path that will take away from the effectiveness of a wrap. Sometimes customers believe that adding a lot of text, a bold pattern, or just lots of information in general will give them more bang for the buck. Here at Picture This, we have found that simplicity is key to the most effective wrap! The key elements that you want in your wrap are your logo, your company’s name, your phone number, and to make sure that your audience can very quickly tell what you do. The above wrap is an excellent example of this execution! By avoiding adding a lot of text, your logo and the other essential elements of your wrap can be made bigger! Also, by keeping the background a solid color or a muted pattern, instead of a bold or rude pattern, you are better able to read the text your wrap does need. 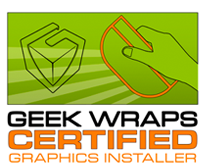 We know that getting a wrap is an important investment for your business. Come in today and talk to an expert about getting the most effective wrap for your dollar! 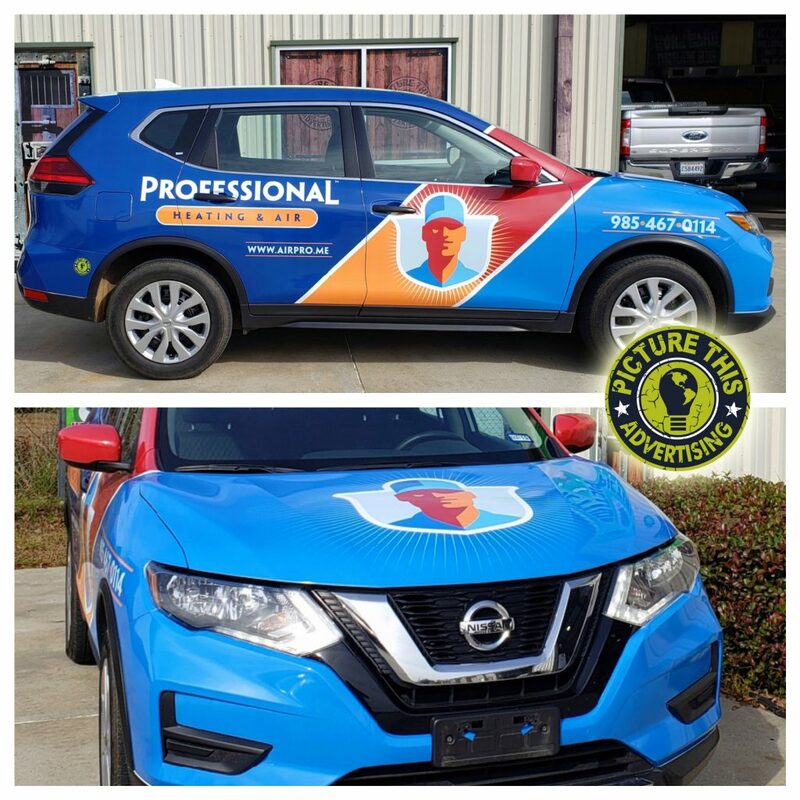 Posted on January 21, 2019 January 21, 2019 Categories UncategorizedTags car wrap louisiana, full car wrap, vehicle wrapLeave a comment on Simple, Yet Effective! New wrap design for the growing franchise Sweet Rolls. Simple effective and clean just like a wrap should be! Thank you so much to the Sweet Rolls team for choosing Picture This Advertising for thier fleet wrap needs.